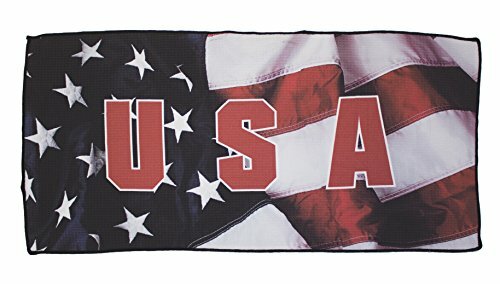 Share your patriotic pride with golf towels from our Americana Series. Devante Sport Towels has been providing top quality sports towels for over 40 years and our towels are proudly decorated in the U.S. Our microfiber is super absorbent holding 7 times it's weight in water and 100% anti-microbial. The waffle weave pattern aids in Club cleaning, removing even the most stubborn dirt and grime from your clubs. If you have any questions about this product by Devant Sport Towels, contact us by completing and submitting the form below. If you are looking for a specif part number, please include it with your message.